We love writers at the Jean Cocteau Cinema, and April is going to be one of our biggest months ever for author events, with no less than four of them scheduled. 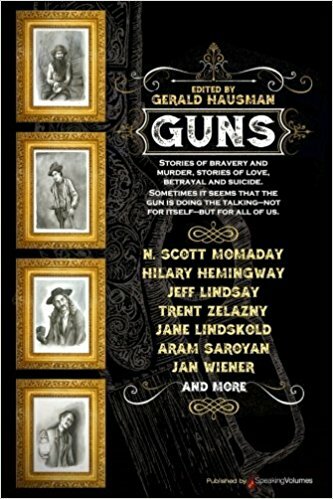 First up, on Sunday April 2, we'll be hosting the editors and contributors for the GUNS, an original anthology about... yes, you guessed it, guns. Editor Gerald Hausman will be joining us for the evening, together with writers Trent Zelazny, Jane Lindskold, M. Scott Momaday, Rebecca Godfrey Poe, Peter Lauritzen, Peter Eichstaedt, Jim Terr, and Alice Carney. 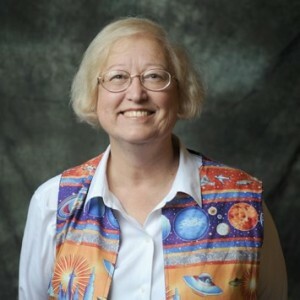 One week later, on Sunday April 9, we'll once again be hosting one of our favorite people, the one and only CONNIE WILLIS. 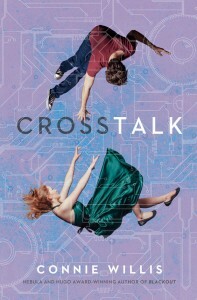 Connie's got a new book out: CROSSTALK, her long-awaited romcom, and as usual it's a delight... as is she. Of course, we'll have her other books as well, the many Hugo- and Nebula-award winners, and the one or two that were only runners-up. 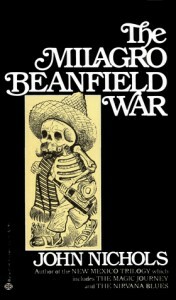 Just a few days later, on Saturday April 15, we will have the honor to host one of New Mexico's own treasures, JOHN NICHOLS, the author of THE MILAGRO BEANFIELD WAR. There's never been a writer who captured the soul of northern New Mexico like Nichols, and the Jean Cocteau is thrilled to have him. 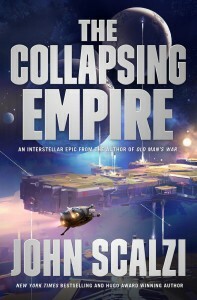 Last but not least, JOHN SCALZI will be hitting town on Monday, April 17, with his new novel THE COLLAPSING EMPIRE. 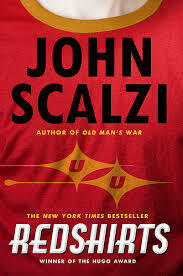 (And rest assured, we'll have his older books on hand as well, including his Hugo award winning REDSHIRTS). Remember, the Jean Cocteau has only 130 seats, and some of these events are already filling up fast. To reserve a book, and a seat, go to the Jean Cocteau website http://jeancocteaucinema.com/ and get in your order now. See you at the movies... er... the booksignings. hey, george, how are you doing? i'm so sorry for the off-topic, but did you see/watch serj tankian (from system of a down) singing the rains of castamere in one of those GoT concerts? it was absolutely beautiful and wonderful. i just wanted to share and know if you like it too. I know this isn't quite relevant to the topic, but I have a question I'm hoping you can answer. Do you know of any good fantasy novels before yours that take economics as seriously as you do? That is to say, having something like a banking institution with a real material influence in conflict? I'm curious about this for a project I'm developing. You may check out Daniel Abraham's The Dagger and the Coin series. Thanks for replying. I knew about Dagger and Coin, but I'm specifically interested in anyone doing this kind of writing *before* A Song of Ice and Fire, and in the fantasy genre! So I'm still hoping Mr. Martin will give me a reply with some of his inspirations (if there are any). 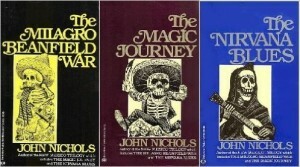 That said, Niccolo sounds like it would be great for the purposes of reading for pleasure, so thanks for that one too! 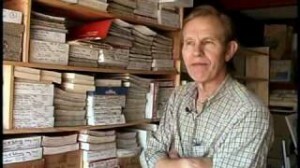 George, sorry for off topic, but as you post about books and writers...Did you read SF "Aelita" by A. Tolstoy? And...did this word inspirate you for Targaryen names? Read both. 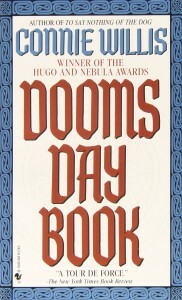 Doomsday is a bit boring. Its the second time I try to read Connie Willis and its the second time I give up midbook. She just takes waaaay too long in descriptions of places and situations. Scalzi's book, as always, is fun as hell. Simple, but fun, and ethically somewhat interesting. I loved the book "Red Shirts"
GRRM, what's your take on the Writer's Guild call for a strike? If it happens, will you still keep working on your projects or you'll stop writing too until it's over? If the WGA strikes, I strike with them. I'm a union guy, born and bred. That would affect only my Hollywood work, however: films and television. Novels and short stories are outside of the WGA's jurisdiction. Hi Mr. Martin, I'm Cosmin Dumea, what to say about me? I'm 18 years old, 1.04 m tall (Tyrion is taller than me 😂😂) and of course I'm an your big fan! I hope in a your answer, thanks! I'm sorry, but I am too busy with my own work to be able to help anyone else with theirs. There are some excellent workshops and courses out there, however. And you might want to take a look at the FAQ on my website. Will you be the interviewer for the 9 author Guns talk this Sunday or will it be one of the authors playing host? Either way, looks like a good one. 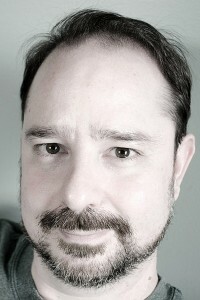 Ah, I also want to go to the Scalzi and Willis talks. So many great authors are coming in such a small amount of time! I asked (ok,begged) Brandon Sanderson to make a stop at your theater whenever he does his next book tour in a message to his reddit account. In his reply, he told me he loves how much you help other authors and that you've asked him to stop by before but his schedule just didn't work out that time. He also said he definitely wants to stop by on one tour or another. . . Basically, I just want to ask you to continue pestering him to stop by for an author event someday. He's one of my favorite modern fantasy authors. With all the authors on hand for GUNS, I don't think I'll need to squeeze on the stage as well. For one thing, there wouldn't be room for me. Our stage is small. And of course we'd love to host Brandon Sanderson whenever he happens to wander our way.